Abuja — A consultant urologists' surgeon with the Abuja based Kelina Hospital, Dr. Celsus Ukelina Undie, has argued that eating western foods causes kidney failure among Nigerians. Speaking ahead of the hospital's 2018 Outreach Programme scheduled to commence this week, he enjoined Nigerians to imbibe a healthy lifestyle to avoid kidney complications. No fewer than 200 Nigerians will benefit from a one-month free screening and surgical operations for prostate cancer, kidney stones, gall stones and gynecological problems. The exercise, which is being sponsored by the Surgical Aid Foundation (SAF) in conjunction with Kelina Hospital, Gwarinpa, Abuja, is to enable poor patients to access hi-tech surgeries. "With the adoption of western diets by most Nigerians, increased stress in a modern world, diabetes, hypertension and hypercholesterolaemia are on the increase. "Some of these are responsible for increased renal failure. The increase could be anecdotal, because research is limited in this country and it is difficult to say pointedly that we have accurate figures dating back to the 1950s and 1960s showing lower incidents than we have now. "Healthy living, good blood pressure and blood sugar control, early attention to lower urinary tract and prostate symptoms could be good preventive strategies. 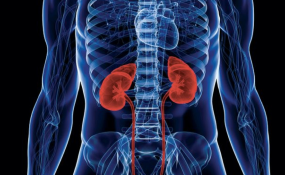 Some cases of renal failure are due to surgical problems like kidney stones and enlarged prostate," he stated. Undie explained that endoscopic, laparoscopic and laser-based surgeries require sophisticated technologies, which are not commonly available in Nigeria.